The big question is: Why has Nigeria refused to pick up from where she failed many years ago? Rather she prefers to donate her airspace to foreign airlines who are now making millions of dollars out of the country daily. Ethiopia is bruised but she is not allowing one disaster to kill her dream. To say Nigeria – the supposed Giant of Africa – is without a national airline, befuddles right thinking Nigerians. The once buoyant Nigeria Airways came to into limelight in 1958 after the dissolution of West African Airways Corporation (WAAC). It began operation on October 1, 1958, and in 1971, it was rebranded to the name it had until it ceased operations in 2003. At the peak of its life span, the airline had 44 aircrafts on its fleet, and strongly showcased and flew Nigeria’s flag around the world. Through the sheer magnificence and efficiency of the airline, Nigeria became the toast of many airlines and attracted their managements to Nigeria to learn the rope on how to run a viable and profitable airline. Nigeria boasted of the best and latest airplanes in the industry, ranging from Airbus A310 to Boeing 737 to Douglas DC 10. Not only that, the airline was booming with a workforce of 2,191 people. But then, some easily predictable and some unforeseen variables set in and ailed the popular airline; then began its slow and sure death. The ugly variables included: complacency, lack of foresight, inability to analyse current trends and predict the future. Others were: mismanagement, corruption and over staffing, to mention a few. The airline, in its history, accumulated a huge debt totalling $528 million. Finally, the airline ceased operations in 2003 and was liquidated a year later. More than 3000 jobs went with it. I went this far, giving the history of the behemoth to show how poor management, indiscipline and lack of foresight can kill a dream, no matter how big. While Nigeria’s neighbours like Chad, Togo, Cameroon and Ghana, to mention but a few, that had next to nothing in terms of the size of their economies, still boast of viable and profitable airlines, Nigeria is lost from the pack. Of course, among this pack of nations, Ethiopia stands out. 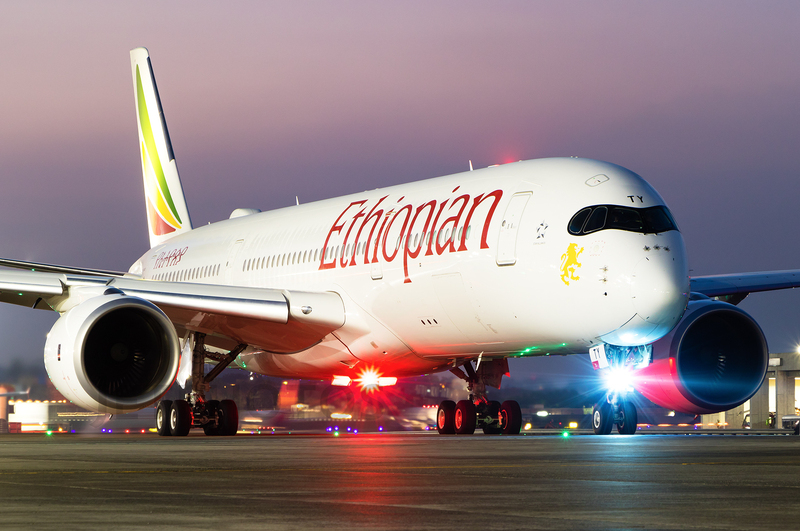 Until the recent disaster, Ethiopian Airline has proudly being the market leader in aviation in Africa. Sadly, and ostensibly due to no apparent fault of its own, disaster befell the airline on March 10 this year when its Boeing 737 Max crashed six minutes after take-off outside Addis Ababa. Many families, including those of two eminent Nigerians who perished in the crash, are still in deep mourning. But will the tragedy mark the beginning of the end of Ethiopian Airlines? The answer is a big NO. By the grace of God Almighty, the airline is set to continue its seamless operations with the same resolute resolve its management has been investing in achieving excellence in terms of its corporate goals. I flew in an Ethiopian aircraft, last December, to Johannesburg and I was spoiled a little during the journey. I was amazed at the high level of efficiency in every aspect of its operations. From check-in to boarding and take-off, everything was seamless. Ethiopian Airlines started operation in 1946, having been founded by the late leader, Emperor Haile Sellasie. It all began as a state-owned carrier operating in a joint venture with the defunct Trans World Airlines (TWA). It underwent radical upheaval in the following decades – including the fall of Ethiopia’s monarchy, the reign of a brutal Marxist regime, and a famine that killed over one million people. The irony here is the magical way the Ethiopian Airlines weathered the storms and bounced back in a market where several flag carriers from bigger African economies, such as South African Airways and Kenya Airways, fell into bankruptcy or financial difficulty. Nigeria Airway went into permanent death. The success story of Ethiopian Airlines lies in its managerial ability. Tewolde GebreMariam, the current Chief Operation Officer, began his career with the airline in 1985. Although Ethiopia’s weak economy might have been a blessing, the airline’s management has always been acutely aware that “if they made losses, the government was not in a position to bail them out”, using the words of Elijah Chingosho, a former secretary general of the African Airlines Association and managing director of Ultimate Solutions Consulting, an aviation pioneer. For decades, Ethiopian Airlines survived but it wasn’t until the mid-2000s that it started to thrive. In 2005, that the airline started making global headlines when it announced that it would be the first in Africa to launch a Boeing 787 Dreamliner, placing a $1.3 billion order for 15 of the fuel-efficient, long-range aircraft. Soon after, the airline began expanding its international network with a focus on emerging economies. One major target, China, is now one of the Ethiopian government’s economic partners. The airline grew in leaps and bounds. One Negatu, born in Ethiopia, said: “Everyone belittling its strategy” has been taking unawares as the airline now flies 40-plus per week to China, 20 to India and 14 to Nigeria. As part of its expansionist programme, Ethiopia Airlines would soon sign an agreement with Lufthansa, Singapore Airlines and Asian Airlines. The airline also operates Africa’s largest aviation academy, where pilots, ground staff, maintenance technicians and cabin crew from across the continent come to train. But its biggest innovation is still to come as it plans to open Africa’s skies. Africa skies remain largely unconnected. Only five countries have direct flights to more than 20 other nations, according to the African Union. Ethiopia tops that list. From the inflight magazine, Selamta, I read how Ethiopian Airlines has pursued its own strategy: a 15-year plan to dominate Africa’s skies by acquiring minority stakes in other carriers. In 2010, it became a founding partner in Togo-based airline ASKY. Two years later, it helped establish Malawian Airlines. It replicated the strategy last year with airlines in Guinea, Chad and Mozambique. It goes further by helping its partners with expertise and credit lines for new aircrafts. “My flight flew with Cloud Nine business class with great food, an extensive drinks selection and a very comfortable and semi-private seat that turned into a flat-lie in bed. The experience was fantastic. As I stepped off my return flight into the U.S., I smiled remembering the last thing I did: attend the welcome ceremony for the 100 aircraft. When I say goodbye, I congratulated everyone on their achievements and the Ethiopian Airlines CEO said he hope to see me when they receive their 200th plane. This was met with shouts of ‘no, 300’, ‘400’. This is an airline that is unstoppable growth path-driven by its people. One way or another, hopefully I’ll be back for aircraft number 200 soon”. Ethiopian airlines is arguably the biggest aviation brand in Africa. It is a successful billion-dollar company that competes globally every single day. The crash of the airline’s Boeing 737 Max last month was felt deeply. It was not only the family of those that perished in the crash that mourned or are mourning. Many people, across the world, wept as if they had their loved ones in the tragic flight. However, despite the deluge of tears, many saw the crash as a wake-up call for the airline. The management has resolved that the airlines focus to dominate the aviation world must remain on course. With the opening of the first phase of Bole International Airport’s new terminal to handle 22 million travellers each year, the airport, according to the CEO, Tawolde, will exceed Johannesburg’s OR Tambo International Airport as the largest capacity airport in Africa. Folu Olamiti, a media consultant, writes from Abuja.